The latest advances in research on intracranial implantation of hardware models of neural circuitry. 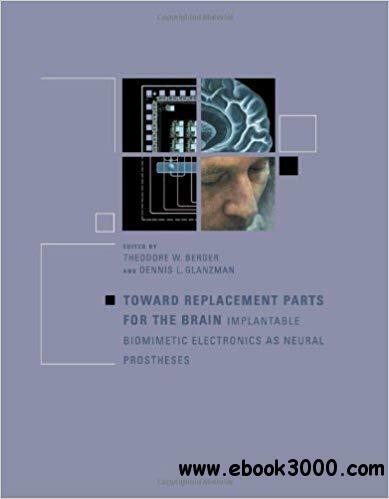 The book first examines the development of sensory system prostheses-cochlear, retinal, and visual implants-as the best foundation for considering the extension of neural prostheses to the central brain region. The book then turns to the complexity of neural representations, offering, among other approaches to the topic, one of the few existing theoretical frameworks for modeling the hierarchical organization of neural systems. Next, it examines the challenges of designing and controlling the interface between neurons and silicon, considering the necessity for bidirectional communication and for multiyear duration of the implant. Finally, the book looks at hardware implementations and explores possible ways to achieve the complexity of neural function in hardware, including the use of VLSI and photonic technologies.